In case you didn&apos;t know this tidbit about me, I love chocolate. It delights me. It fills me with a warm fuzzy feeling mixed with comforting thoughts and fond memories. It makes me feel good. Every bite is savored and every crumb is consumed. 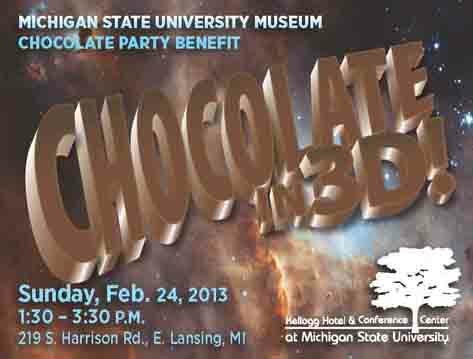 So it is with great anticipation each year that I look forward to the MSU Museum Chocolate Party at the Kellogg Hotel and Conference Center. It is one of the few professional culinary events thats open to the public where local chefs create masterpieces out ofyes, indeed, chocolate. This years theme is 3-D so it will be interesting to see what these culinary artists come up with. Two dimensional chocolate is just so flat, right? And this is a fundraiserbenefitingthe MSU Museum, one of my favorite places on campus, so its a win-win. Seriously, how can you not win when it&apos;s all about chocolate. Bring on the dark, the light, the milk chocolate and everything that goes with it. Its time. Tickets are $30 for the general public and $25 for MSU Museum members in advance, and $35 at the door. A special "Premier Chocolatier" ticket for $75 offers an advance preview of Chocolate Party creations and a year-long MSU Museum membership. A chocolate cake is usually baked at a lower temperature because chocolate burns easily. In Hershey, PA the streetlights are shaped like Hershey Kisses. Africa is the number one producer of chocolate - close to double the tonnage of chocolate than S. American plantations. 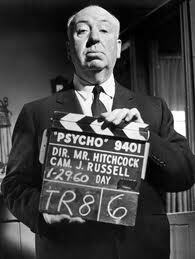 In the Alfred Hitchcock movie Psycho the blood in the shower scene was actually chocolate syrup. It was filmed in black and white, so the color did not matter so much. Napoleon insisted that wine, from the Burgundy vineyard called Chambertin, as well as chocolate be available during military campaigns. When chocolate mousse was invented, it was known as chocolate mayonnaise! It is said that Eleanor Roosevelt ate three, chocolate-covered garlic balls each morning as a memory aid. Cacao beans used to used as currency among native tribes in Mexico and South America. Historically, chocolate has been used to treat diseases and illnesses such as depression. Chocolate actually contains seratonin, a neurotransmitter that acts as an anti-depressant. Chocolate&apos;s scientific name, theobroma cacao, literally means "food of the gods."